who needs to spend 6000 in a phone that its software in 3-4 years will be history?? can someone tell us a nice joke???? AnonD-219904, 31 Dec 2013As far as luxury phones are considered I think the Antares by Tonino Lamborghini is much bette... moreyeah right. Tonino Lamborghini does anything from deodorants to phones. i'm sure its a hell lot better than Vertu. As far as luxury phones are considered I think the Antares by Tonino Lamborghini is much better than Vertu Constellation 2013.It has a quad core processor,2GB RAM,32GB internal memory,micro SD slot,13 megapixel rear camera,5 megapixel front camera,speakers powered by internal Yamaha audio amplifier system,handcrafted leather and steel body and comes at a price of $4060 which is half the price of Vertu.Oh c'mon even a customized gold plated and swarovski studded Iphone 5s with Sapphire Glass screen costs lesser than Vertu. It seems lot of people don't know what a luxurious phone really mean. this phone is really so expensive, i think the sapphire crystal glass, the titanium body also the leather used made this phone so expensive. that price is clearly not a joke, you put a Sapphire glass and a grade 5 titanium body. then you should not be asking if this is a joke. obviously. Phone_Hunter, 06 Dec 2013Is it a waterproof phone??? Y is it so costly?? whts in it??? "Rare and prohibitively expensive materials make the Vertu Constellation so eye-wateringly expensive. Dominating the front of the device is a large piece of sapphire crystal glass that only a diamond can scratch. Underneath that scratch-proof glass is a 4.3-inch 720p touch display. The Vertu Constellation's frame is made of grade-5 titanium, and Vertu asserts that's two and a half times stronger than stainless steel—at half the weight. The entire rear is swathed in genuine calf leather that comes from the Alps region of Europe and is available in five colors: beige, black, brown, orange (our favorite), and pink. Is it a waterproof phone??? Y is it so costly?? whts in it??? put this next to a samsung galaxy s 4 and you see what materials can do. phone_, 28 Nov 2013wht is good in this phone as the price is sooo high??? someone please tell me?? 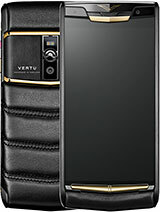 ?Vertu is back. But man look at the specs i'd rather buy a huawei p6 than this. 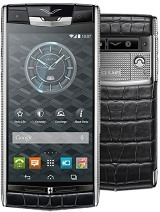 Total of 44 user reviews and opinions for Vertu Constellation 2013.